A task which trigger when size of the monitored folder is greater than the defined size. This kind of task is useful to run maintenance task to clean up specific folder. A task which trigger when USB drive is connected. An optional DriveID can be use to trigger a task when the specific USB drive is connected to machine. 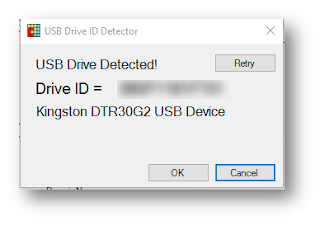 An USB drive ID detector tool is included for Drive ID detection.